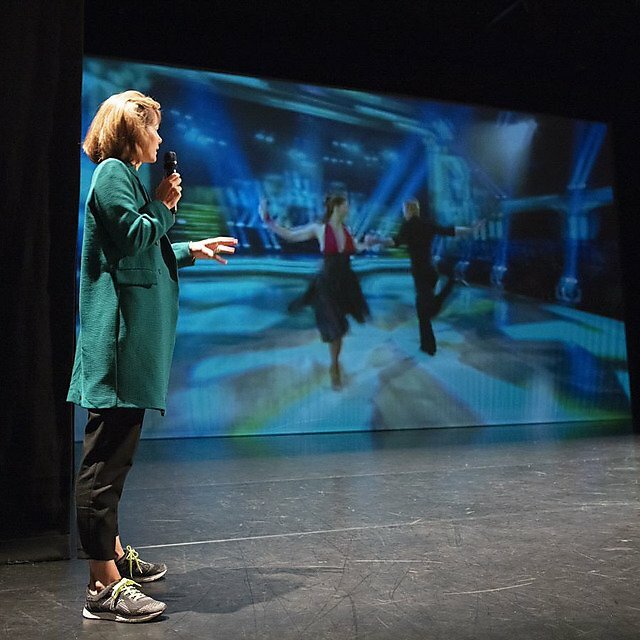 ... says Dame Darcey Bussell, setting the scene for a refreshingly honest portrait of the making of a young artist and future legend of the stage. 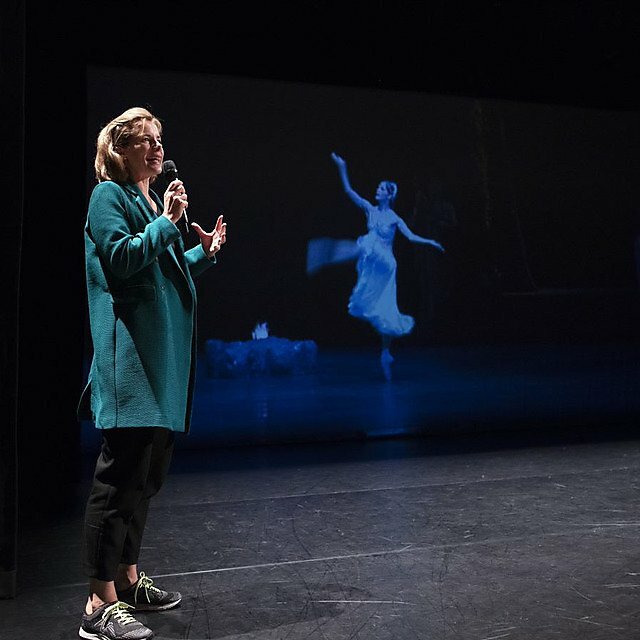 For the audience of undergraduate and postgraduate dance students gathered in The House for an exclusive interview with the former ballerina, it is the first of many insights into what it takes to reach the pinnacle of a profession. And prompted by Ruth Way, Associate Head of the School of Humanities and Performing Arts, a number of Darcey’s answers throw their expectations off-balance. If there is a central theme to Darcey’s success it is undoubtedly ‘resilience’, a quality instilled and infused in her dance DNA by the natural process of artistic doubt, her strong desire to improve, and due to the dyslexia she experienced most acutely at an early age. Through her years at the Royal Ballet School she leads the audience, recalling the fierce determination to prove and improve herself, building her strength and technique step by step. And yet, despite this intense inward focus, she had a broader awareness that she was entering an art form that was wrestling with its identity. And from tutor to judge on Strictly Come Dancing. Before she exits, stage left, we have to touch upon the BBC’s extraordinarily popular show, one that routinely pulls in audience figures in excess of 10 million.